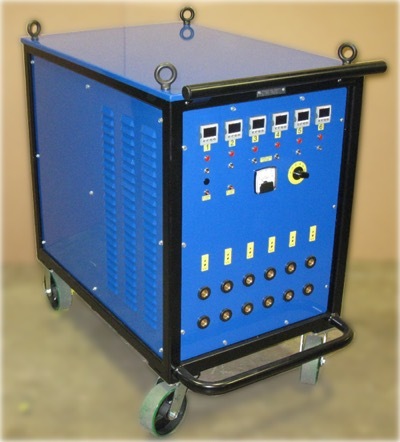 The Hotfoil-EHS 6-WAY power console incorporates a 1.5" tubular frame with a 1-1/4" tubed handle and kick bar. The entire assembly is fully welded, ground down, polished and then powder coated black. The front and back panels are 14 guage steel and the side and roof panels are 16 guage. All panels are powder coated. Beneath the lid is a removable support system to prevent the lid from bending, and also to allowo support a recorder.